No street in St. Louis better exemplifies the adage that “money can’t buy happiness” than Hortense Place, which runs between Euclid Ave. and Kingshighway Blvd. in the Central West End. 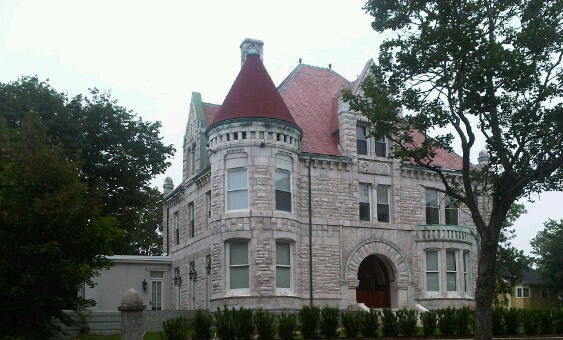 Developed by cotton magnate and banker, Jacob Goldman, who was prevented from residing in other of the neighborhood’s exclusive places because he was Jewish, it would prove the site (believe it or not #13 Hortense Place) of the only Lemp suicide not committed in the family complex on DeMenil Place. Out-of-town house guests of a subsequent owner of #9 Hortense Place, “the castle” (10,000 square feet clad in limestone) designed by William Levy for Jacob Goldman in 1900, were kept awake one night by a little girl crying for her “daddy”, something that happened to the family’s servants on a regular basis. These owners had no children, but Jacob Goldman had, naming his private place for his youngest daughter, Hortense, who died early in childhood before the house was built. The Lambert Mansion (#2 Hortense Place) was the site of several seances and the Carney children across the way were frightened by a spectre in their house that walked through a wall at the top of the stairs where research revealed the original doorway had been covered. Of course every street has its sorrows regardless of the economic situation of its residents. 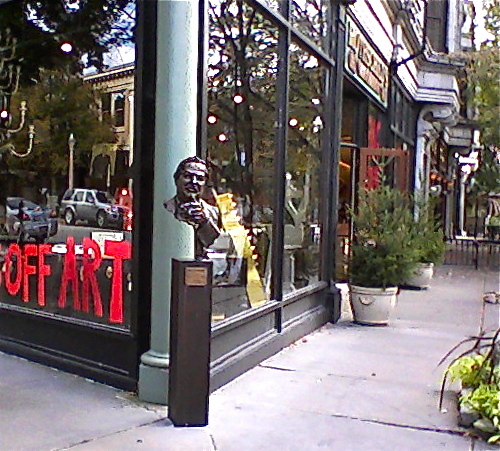 Tom Williams – who became known to the world as Tennessee Williams – wrote a haunting play about his psychologically fragile sister, Rose, and the glass menagerie she treasured in a Central West End apartment two blocks from the intersection of Euclid & McPherson, where a bust of the Pulitzer Prize winning American playwright, can be found in front of Rothschild’s Antiques & Furnishings (www.rothschildsstl.com). Here fine art & antique galleries converge with fine eating establishments, from bistros to pubs. Established by Pete Rothschild in 1969, Rothschild’s Antiques was named The Best Antique Store in America by Esquire Magazine in 1972. Two decades later Rothschild partnered with interior designer, David Richardson, whose distinctive marriage of fine art & antique furnishings with design has landed the firm features in “Southern Living”, “One Room Living”, and “Outdoor Living” magazines. The southwest corner of Euclid & McPherson has been anchored since 1969 by Left Bank Books (http//www.left-bank.com), an indie book store as avant garde as the name suggests. 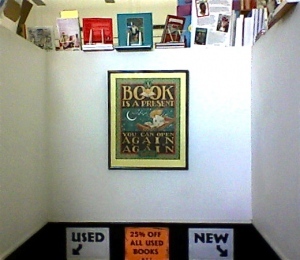 Stocking a full line of new and used books and focussing on politics, contemporary arts & literature, high quality children’s books, African-American interests and GLBT titles, many of the staff have been involved as “volunteers and activists” for causes ranging from civil rights to urban sustainability. I’ve always been drawn to their outstanding children’s section. When I was a young teacher I would often stop in to browse the most recent publications on my way home from school and was regularly swept away by their buyer’s selections. Left Bank Books is renowned for supporting local authors and artists, the most famous of the latter may well be illustrator, Mary Engelbreit, whose work they’ve been showing since she was just starting out. The DVD I wrote on Market Street, The Oldest Street in St. Louis is the first of its kind to be carried by Left Bank Books. As the population of St. Louis soared during the 19th century, the children and grandchildren of numerous immigrant groups moved westward. Some like Myron Kopperman of Kopperman’s Specialty Foods and Delicatessan (www.koppermans.com) carried on a tradition begun by the first members of his family in America. His Grandfather Max arrived in St. Louis in 1897 from Jedwabne, a European border town that, according to Myron, “was sometimes in Poland and sometimes in Russia”, depending upon which side was winning at the time. Max Kopperman opened a Kosher Meat Market at 7th & Wash Streets (where the Edward Jones Dome stands downtown today). It later moved to Franklin Avenue as the House of Kopperman, before Myron opened here at 386 N. Euclid and grew the business to the point where no less than 186 food items are offered for sale and consumption. 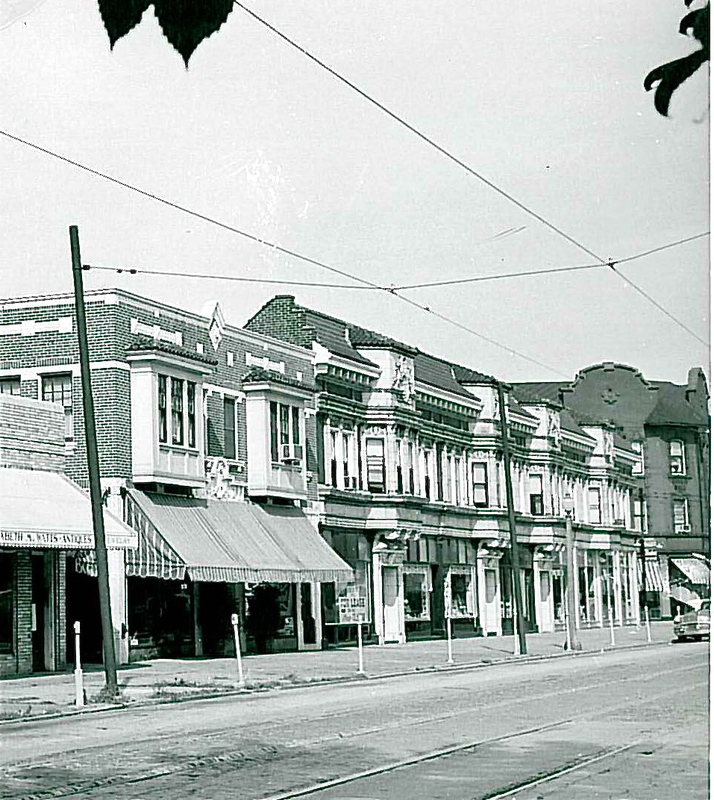 The marvelous vintage photo above, circa 1958, kindly sent to me by Ryan J. Reed of the Landmarks Association of St. Louis, was taken before Kopperman’s Specialty Foods and Delicatessan moved in. 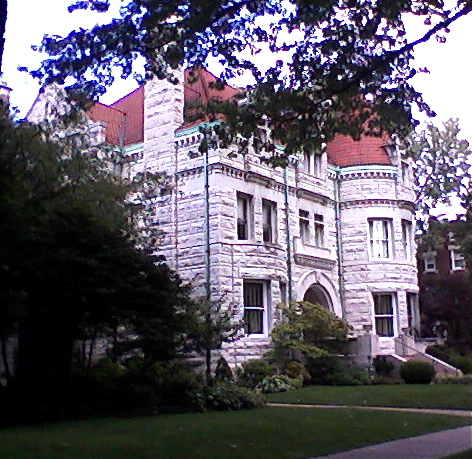 The Landmarks Association of St. Louis, presently located in the beautiful Lammert Building at 911 Washington Ave., advocates for the preservation of architectural landmarks and offers invaluable assistance to researchers and historians. While Tennessee Williams likely spent a lot of time walking the C.W.E. 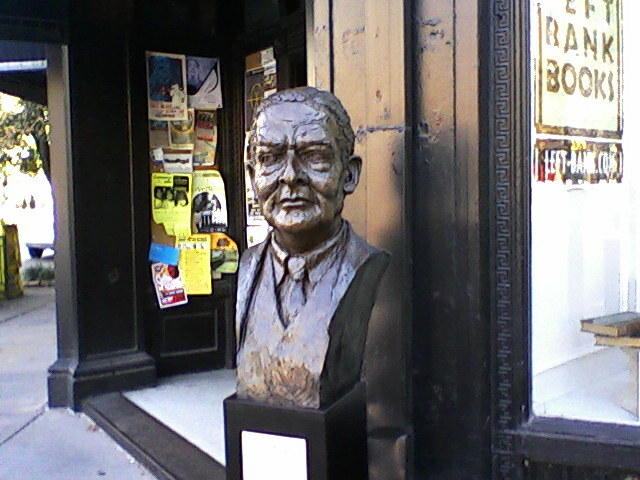 where he lived in various locations with his family, the poet sculpted across Euclid in front of Left Bank Books, T.S. Eliot, was here only now and then. Tom Eliot had already left St. Louis for Harvard University when his parents moved to the gated Westminster Place. His visits home were infrequent. Yet St. Louis remained as certainly with Thomas Stearns Eliot in London as Dublin did with James Joyce in Paris – long after they expatriated their homelands. Eliot grew up on Locust Street, near the western edge of downtown, and the Mississippi River was a powerful influence on him, as it is on all St. Louisans. But few are able to express this as eloquently as the Nobel Laureate remembered here in the C.W.E.’s evolving literary intersection. Bordered as it was originally by two university campuses, St. Louis University on the east and Washington University on the west, The Central West End has been home to legions of academics, visiting professors and more than a few writers. One of the finest is St. Louis native and long-time C.W.E. resident and poet-bard, Jon Dressel, who co-founded Llywelyn’s Pub (www.llywelynspub.com) at 4747 McPherson Ave. in 1975 with Jack Brangle and his wife, Pat. They would eventually go their separate ways and Llywelyn’s evolved, in their own words, into “a true Celtic Pub serving up Welsh cuisine and world class spirits”. 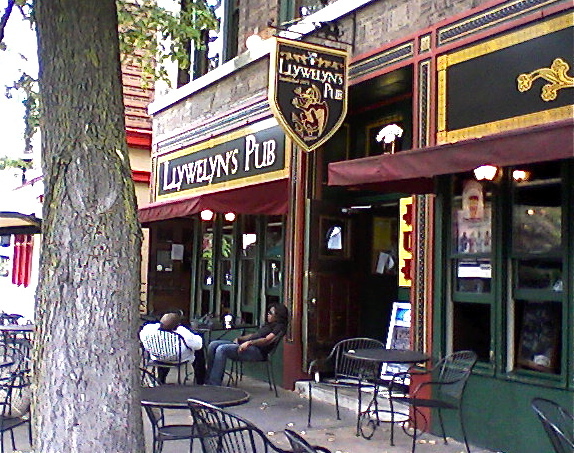 Having spent time in a fair number of Celtic Pubs overseas, Llywelyn’s has always struck me as very American except for its Welsh artwork and tributes. But it’s their rarebit that I crave from time to time and that is indeed Welsh. In 1980 Jon Dressel opened his own Welsh public house around the corner and across the street from Llywelyn’s at 419 N Euclid, with his wife Barbara. Scholarly by nature, with the soul of a poet and the voice of a bard, Jon Dressel taught Creative Writing and American Literature at Webster College from 1969 -1976. And then in what must have seemed a dream come true, from 1976 – 1998 he directed the American Studies Program at Trinity College, the University of Wales and eventually the graduate program in Creative Writing, traveling back and forth each year between St. Louis’ Central West End and Wales. 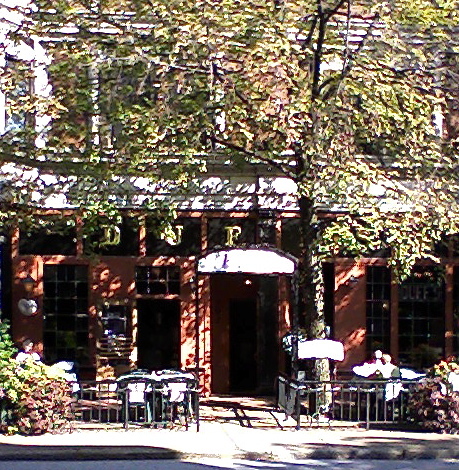 Over time Dressel’s (http://dresselspublichouse.com) became a haven “to St. Louis intellectuals, writers and artists of all persuasions”. With walls covered with images of writers (from Dylan Thomas to Emily Dickinson and Ernest Hemingway) and musicians, and classical music playing in the background it’s little wonder. Libations not withstanding such offerings as Bangers & Cheese, hearty stews, yeasty, braided pretzels with rich cheddar rarebit for dipping have been a substantial draw. In 2004, Jon’s and Barbara’s son, Benjamin purchased the pub, and carries on the tradition adding his own dimension to it. Herbie’s Vintage ’72 (http://www.herbies.com) at the northwest corner of Euclid and McPherson began life in the 1960’s as The Gypsy Cowboy, a hippie boutique created by Herb Balaban. Born in Chicago, Balaban travelled much of Europe as a child, with his operatic-singer mother and his sister, following the death of their father. He imbued this corner of the C.W.E. with a wonderfully French flair and personality, his Cafe Balaban replacing The Gypsy Cowboy in 1972 and becoming a legend in its own time for – Crepes, Roast Duckling a l’Orange, Coq au Vin and Beef Welllington. 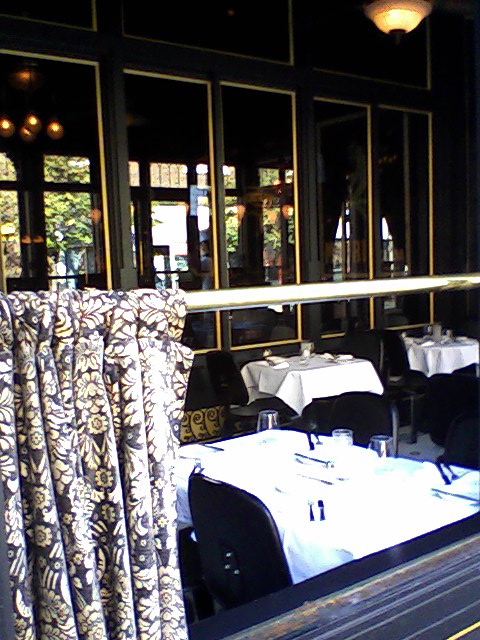 The aura of a classic Parisian bistro established by Herb Balaban and his wife, Adalaide, lives on in Herbie’s Vintage ’72, with the original French posters on the exposed brick walls, the relaxed ambience, the wonderful bank of windows opening onto the sidewalk and Euclid Avenue, that with very little effort you can imagine yourself on Rue St. Denis or the Left Bank of the Seine. According to Ruth Keenoy of the Landmarks Association of St. Louis, who graciously checked the city’s Blue Book for 1911 for me (the first directory in which the businesses at the intersection of Euclid and McPherson are listed), a tailor and a saloonkeeper were doing business where Rothschild’s is today. Across the street in the Euclid Building the ancestors of Left Bank Books and Mary Jane’s were The Perry School of Auditory & Dramatic Arts, The Missouri Camera Club, a dentist and an osteopath. A hairdresser occupied Kopperman’s space and where Cafe Balaban and Dressels took up residence a Kroger Grocery, a plumber, another hairdresser, a drugstore and a saloon could be found. Gone from this area are the confectioner, the vintage clothing and vintage record stores, head shops and witch’s supply store which so embodied the Bohemian heart of the C.W.E. that I recall. But the cosmopolitan air of a district where the arts flourish amidst the entrepreneurial descendants of many proud immigrant groups lingers. I can hardly imagine the shapes and directions the northern sector of the C.W. E. will take say – twenty, fifty years from now. 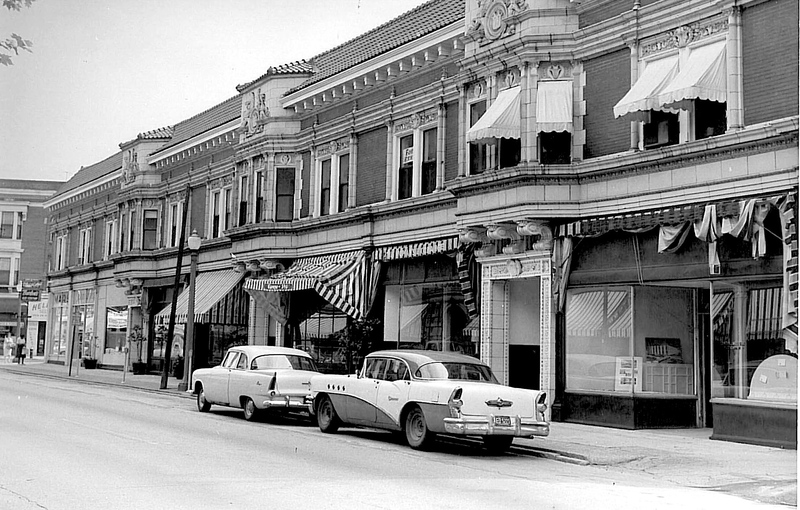 Photo Credits: The black & white image of the building on the east side of N. Euclid Ave. looking towards McPherson Ave. and the black & white image of the south side of McPherson Ave. looking towards Euclid Ave. (both circa 1958) are used with permission of the Landmarks Association of St. Louis. All other photographs are the property of Maureen O’Connor Kavanaugh, the author of this blog. This entry was posted in History, Neighborhoods, Recollections, St. Louis and tagged Cafe Balaban, Dressels Public House, Herbie's Vintage '72, Hortense Place, Jacob Goldman, Kopperman's Specialty Foods and Delicatessan, Landmarks Association of St. Louis, Left Bank Books, Llywelyn's Pub, Rothschilds Antiques, T.S. Eliot, Tennessee Williams, The Euclid Building, The Gypsy Cowboy. Bookmark the permalink. Hello. 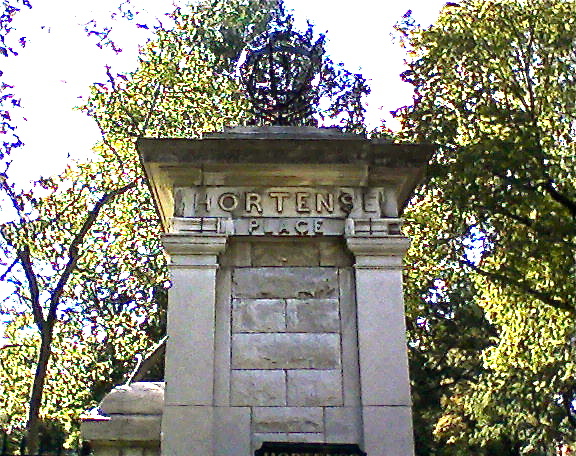 I was very impressed with your article on Hortense Place. I am writing a comprehensive history about the Lemps, with permission from Lemp Mansion owner, Paul Pointer. May I have permission to reprint some of the information you have in your article concerning the history of Hortense Place? Thank you, Rebecca! You may indeed. I’d appreciate it if you would credit me if possible. Do you know any further history of 16 Hortense Place? My aunt and uncle, Allan & Deborah Zacher, owned the home when i was growing up until selling it in the early 2000’s and i spent a lot of time there. Id be interested to find if anything notable has happened there. Wow, Barry, the houses are very similar indeed! I don’t know if architect William Levy did any work in Halifax or personally visited there but the resemblance is striking. Thanks for sharing your photo and comments.